Discover how the very latest psychological, health and emotional research is informing our understanding of employee engagement. Increasingly popular with researchers, employee engagement is a topic that has seen some interesting studies conducted, particularly over the last year or so. They have given me plenty to think about, and I want to share five insights I think are really relevant to how we view and manage employee engagement. I’ve included my own takeaways too, but you might see different ones. We often talk about employee engagement in terms of employees as a group, but the reality is that engagement means different things to different people. Not surprisingly, personality traits also come into play. Earlier studies suggested (rather broadly) that conscientious, emotionally ‘stable’ people are the most likely to become engaged with their work. But new data narrows this down and suggests we should be looking for those with interpersonal sensitivity, resilience and ambition. These are the people most likely to engage at work, especially if they have a high emotional intelligence (EI). Takeaway: treat employees as individuals, or groups of individuals, instead of taking a ‘plain vanilla’ approach. The fallout from poor communication is pretty clear. Open, two-way communication and consistently stated expectations are crucial to a positive, successful workplace. (I’m a big advocate of the ‘feedback expectation loop’, as you’ll know if you’re a reader of this blog). The big news is that we can expect to read more about it in relation to engagement soon too. For the first time, a link between positive employee engagement and good internal communication has been proven. It might seem obvious, but focusing on communication practices at both organisational and management level is as important for engagement as it is for productivity. Organisational communication is responsible for 23% of the variance in employee engagement and supervisor communications accounts for a massive 32%. Takeaway: internal communication matters. 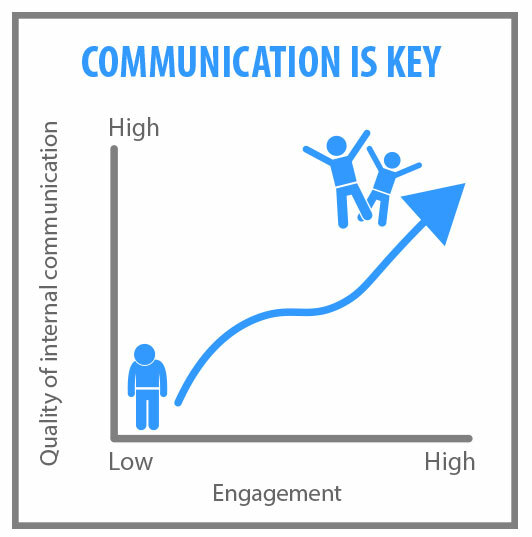 Put a good internal comms strategy in place, and execute it well. Anyone who’s spent time reading up on the topic will have noticed that the terms ‘employee engagement’ and ‘work engagement’ are often used interchangeably. In fact, they represent two distinct concepts. Employee engagement is about committing at an organisational level, while work engagement reflects an individual’s commitment to their role. Medical personnel were found to have low vigour (otherwise known as energy, persistence and a willingness to invest effort) and dedication (enthusiasm, inspiration and pride for their role). On the other hand, they had high levels of absorption in their work (measured by how quickly their shift passes and how difficult it is to leave when it ends). 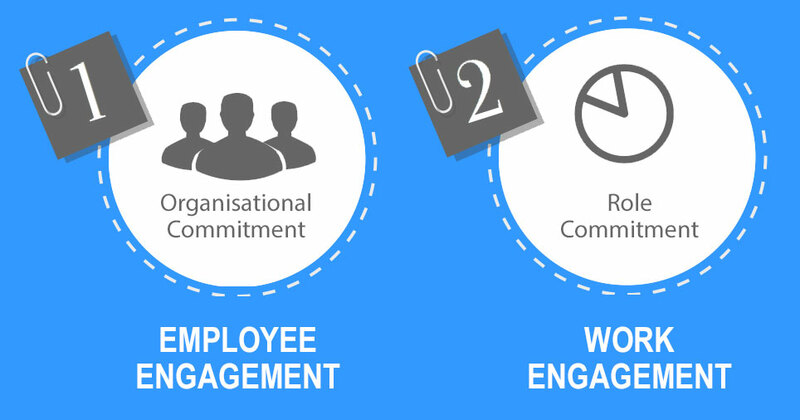 The first two are measures of employee engagement, the last work engagement. This suggests that one can be high while the other is low, which is pretty interesting stuff. Takeaway: be aware that employee engagement and work engagement are different things. Consider how you can identify which type individuals are high and/or low in, and look at how to up the ante to achieve improvements in both. This one has been hinted at a few times this year already. First, a study looking at the impact of corporate social responsibility (CSR) on engagement found that employees who didn’t trust the motives of their organisation were inclined to dismiss it altogether. This was supported by a recent white paper from Dale Carnegie, which found that 54% of employees who took pride in their company’s contributions to society felt engaged. The results of both studies suggest that trust is the crucial bedrock of successful HR practices and positive outcomes. Employees who trust their organisations perceive HR initiatives as authentic, which positively impacts their engagement. Takeaway: Know your company values and make sure everything you do, including CSR, is in line with them. Harmonious Passion: These are the folks with high productivity and life satisfaction. They view their role as important and it forms part of their self-identity, but it is not all-consuming. Obsessive Passion: These workers are the most likely to suffer from burnout or home-work conflicts. They love their work, it forms part of their self-identify, but they are driven to work by internal pressures (such as social status). Work engagement resembles both, except that engagement is not characterised by an association of work with self-identity. This is an important distinction, and one we’re only just beginning to explore. The latest research suggests that a passion for work is distinct from work engagement — passion is a general attitude, while engagement is a cognitive state. Exactly what this means in practise is hard to say right now, but more insights on how to drive up engagement are welcome indeed. Takeaway: Observe people and try to understand their passion. The more insight you have into the people you work with, the better your HR practices will be. It’s all interesting stuff, and should help us make the most of our engagement initiatives. Targeting specific members of the workforce, correctly distinguishing between passion and engagement and fully utilising our communications strategies could make a real difference. It might be slightly trickier to determine whether our employees truly trust our CSR and diversity practices (and I’m still not sure how we’ll measure work vs employee engagement practically), but for twelve month’s worth of research, these are all pretty impressive findings. And who knows what progress the next year will bring? Do your experiences of employee engagement agree with this latest research? Add your thoughts to the comments below or join the conversation via Twitter @cognology. Jon Windust is the CEO at Cognology – Talent management software for the future of work. Over 250 Australian businesses use Cognology to power cutting-edge talent strategy. You can follow Jon on Twitter or LinkedIn. 1. Bal, P.M., and De Lange, A.H. 2015. From flexibility human resource management to employee engagement and perceived job performance across lifespan. Journal of Occupational and Organizational Psychology. 88. 2. Downey, S.N., van der Werff, L., Thomas, K.M. and Plaut, V.C. 2015. The role of diversity practices and inclusion in promoting trust and employee engagement. Journal of Applied Psychology. 45. 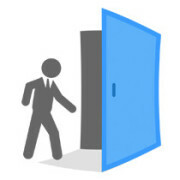 Are we accidentally killing employee engagement? 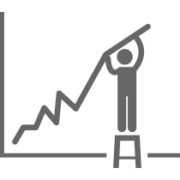 Can you really measure employee engagement?